MONTREAL – Montreal Canadiens general manager Marc Bergevin, announced Wednesday the appointment of Dan Lacroix as assistant coach with the Club. “We are very pleased to welcome Dan Lacroix as part of our coaching staff. Daniel earned the respect of his peers for his coaching skills and his impressive knowledge of the game. 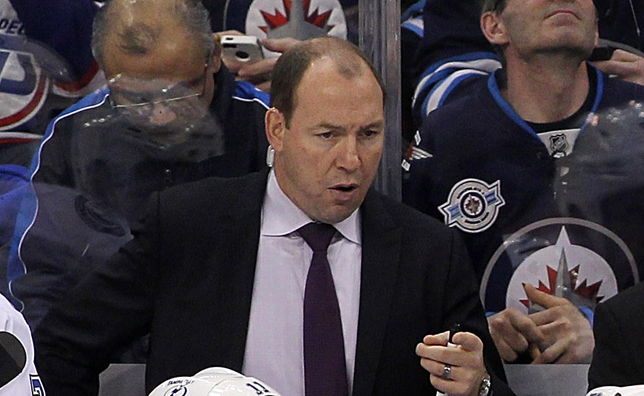 He has worked as a coach for almost 15 years, including seven seasons as assistant coach in the NHL. He knows the Canadiens organization and his experience at the professional level made him a much coveted candidate. He is an excellent addition to our coaching staff and to the Canadiens organization”, said Canadiens head coach Michel Therrien. Dan Lacroix, 45, worked as an assistant coach in the NHL for seven of the past eight seasons, including the 2013-14 season with the Stanley Cup finalists New York Rangers. He previously worked as assistant coach with the Tampa Bay Lightning from 2010 to 2013 and with the New York Islanders also for three years, from 2006 to 2009. Lacroix also worked as assistant coach with the Hamilton Bulldogs, the Canadiens’ main affiliate team in the AHL during the 2009-10 season. Drafted by the Rangers in the second round, 31st overall in 1987, Dan Lacroix played a total of 188 regular season games in the NHL between 1993 and 2000 with the Rangers, Boston Bruins, Philadelphia Flyers, Edmonton Oilers and New York Islanders. The former left winger registered 18 points (11 goals, 7 assists) and was assessed 379 penalty minutes. A native of Montreal, Lacroix also played seven full seasons in the American Hockey League with Binghamton, Providence, Hamilton and Rochester. He recorded 213 points in 352 regular season games (101 goals, 112 assists), and totaled 1,618 penalty minutes. In 2000, he won the Turner Cup with the Chicago Wolves of the International Hockey League. Following his playing career, Dan Lacroix turned to coaching and was hired as an assistant coach with the QMJHL’s Moncton Wildcats where he spent five seasons, from 2002 to 2006. During his stint with the team, the Wildcats reached the QMJHL finals twice, including a Memorial Cup appearance in 2005-06. Halfway through the 2004-05 season, Lacroix was named interim head coach of the Wildcats for 21 games. Lacroix played his junior hockey in the QMJHL suiting up with the Granby Bisons from 1986 to 1989. Dan Lacroix and his wife, Manon, have a daughter, Daphne, and a son, Cédric.